📌 Amazing ancient rock engravings. I'm always fascinated to wood carved and ice sculptures, but seeing a stone art was neat! Just imagine standing in the location where people long ago carved those messages in the stone. 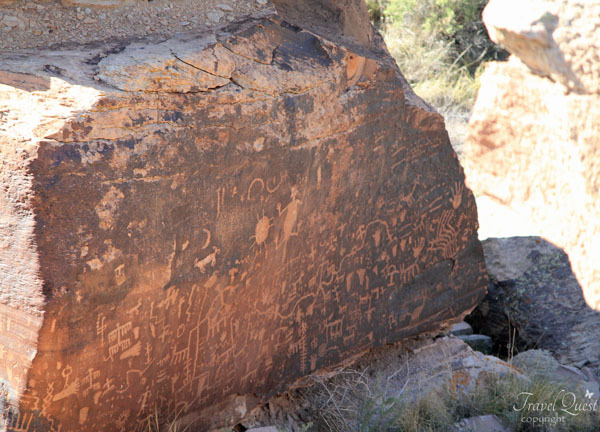 Newspaper Rock is the earliest form of communication. It's amazing to see in person what's been around for a long time. 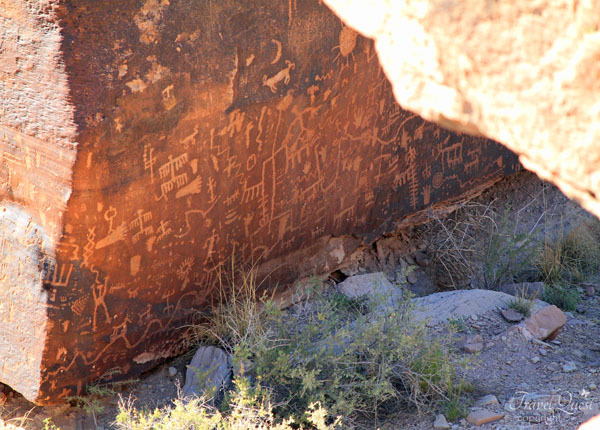 The writings are all still very visible they are great representative drawings of ancient writings..
More than 650 images adorn the boulders - one of the largest concentrations of petroglyphs in the park. 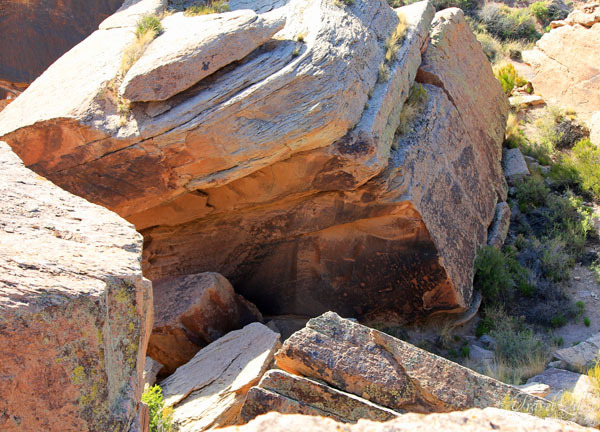 Below rock images are about 650 to 2,000 years old. People have live in those times have carved these images on stones. 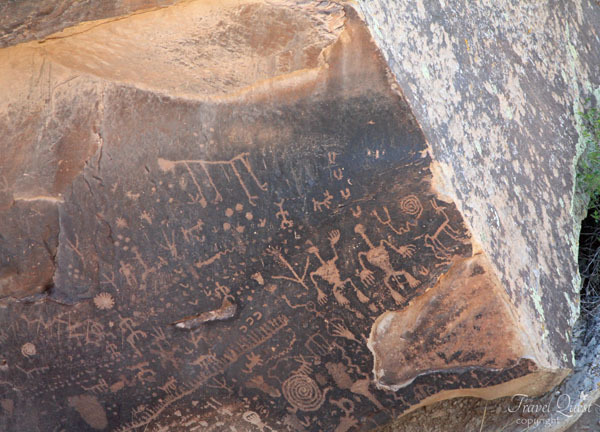 To this days these images are visible and is evidence that humans lived there once. The blacker shades tend to be higher in manganese oxides, while redder tones indicate a higher amount of iron oxides. When rocks are exposed to the elements, a patina called "desert vanish" forms on the surface. 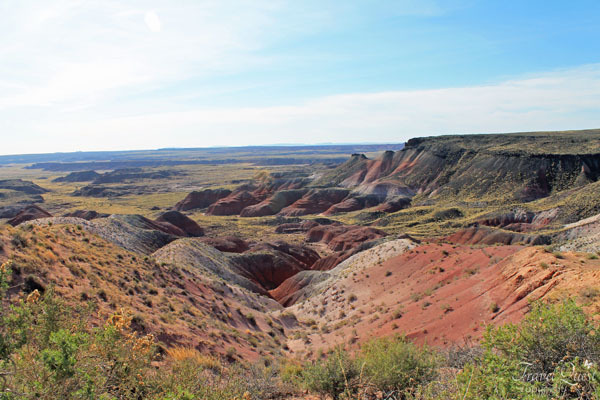 Native people used sharp tools to chip into this veneer of iron and manganese oxides, clay minerals and organic material, revealing the lighter colored rock beneath. My grandfather was a wood carver, he was good. Those writing on the rock are pretty cool. I've always wanted to tour caves that have writings or pictures like these. It's so awesome, isn't it? Seeing what it was like in the past! Wow! What a site to look at Sis. I bet it is more exciting to look and explore. Thank you for sharing. Such an amazin place to see with a beautiful history. On this days peoole should appreciate our way of communication and stop relying on technology. Have a life and engage to real people. These scenery really fascinate me. How I wish I can see them personally. Such a nice place to study history of ancient times! Those old engravings rock, literally and figuratively. Its cool to see things like that. I have always wondered how man was able to live through those times when they had practically nothing.